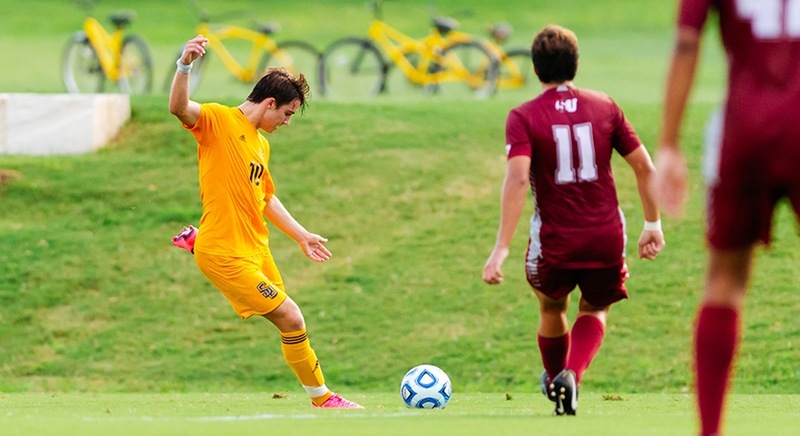 September has been a great month thus far for the Southwestern men’s soccer team with a great run of form. Along the way they’ve had spectacular overtime wins and triumphs over nationally ranked teams such as Rutgers-Newark, and they are currently ranked third in the West Region (6-2-1 overall, 4-1-1 in conference). Their solid defensive showings alongside clinical attacking play have contributed to their success. As they press on further into conference play, I got a chance to catch up and interview three teammates, Alex Newel, Dejan Savic, and Kip Karschnik. I asked him how it feels to be unbeaten in September, and how it will affect their aspirations for the season ahead. Confidence will continue to grow for the team if they keep putting up good results. But every side, even if they’re high flying form wise, must grind on the practice field to succeed. So I asked Dejan how the team approaches practice. He told me “We address practice as a place to get better, build confidence, and prepare for matches. Once we get on the practice field, it’s only about soccer. You leave everything else back in the locker room and focus solely on bettering yourself and your team.” That level of focus has shown in their last few games. Every team, no matter the success, must be a unit, so my next question for Dejan was that of the team’s culture. Do they gel? It’s always good to have fun and be idiots every once in a while. Even the best Premier League teams will have their designated goofballs. With such confident players forming such a tight-knit family and playing with both focus and joy, the men’s soccer team is ready to make a deep run into conference play with hopes of bringing a trophy and some rings to Georgetown. Their next home game is against Trinity University, on October 2nd. OPINION: Is Genome Editing Ethical?